Last year the 11th International Conference on Energy Minimization Methods in Computer Vision and Pattern Recognition (EMMCVPR) took place from the 30th October till the 1st November. This conference is a regular bi-annual conference dedicated to advancing the state of the art in the field of energy minimization methods. 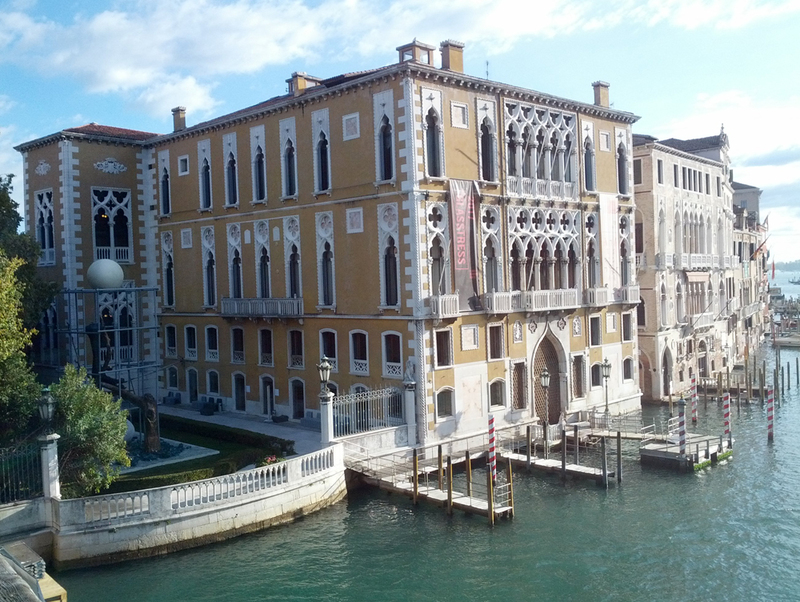 On the occasion of the 20th anniversary of the conference series, with the inaugural meeting having taken place in Venice in 1997, the conference was held in Venice at the magninificent setting of Palazzo Franchetti. Furthermore, it was organized by the founders Marcello Pelillo and Edwin Hancock. The conference took place in the magnificent setting of Palazzo Franchetti. During the conference we had the opportunity to presented our recent works on variational optical flow estimation in the context of large displacements and illumination changes. Meantime our results have been published as post-proceedings by Springer in the Lecture Notes in Computer Science (LNCS) series. Just have a look at our publications! M. Stoll, D. Maurer, A. Bruhn: Variational large displacement optical flow without feature matches. In Proc. Int. Conf. on Energy Minimization Methods in Computer Vision and Pattern Recognition (EMMCVPR). Lecture Notes in Computer Science, Springer, Berlin, 2017. M. Stoll, D. Maurer, S. Volz, A. Bruhn: Illumination-aware large displacement optical flow. In Proc. Int. Conf. on Energy Minimization Methods in Computer Vision and Pattern Recognition (EMMCVPR). Lecture Notes in Computer Science, Springer, Berlin, 2017. Daniel Maurer is a PhD student in the Computer Vision and Intelligent Systems Group at the University of Stuttgart, currently working on the SFB-TRR 161 project B04 (Adaptive Algorithms for Motion Estimation). His main research focuses on motion estimation, in particular on developing new algorithms that are able to use previously learned knowledge adaptively if applied to novel scenes. In addition, his research interests include the areas of Stereo Reconstruction and Shape from Shading.